Get your Shops of Grand Avenue shopping in now, because the end is nigh: Today, Grand Avenue owners and developers unveiled details of their long-in-the-works plan to transform the virtually empty downtown mall—currently home to a Panda Express, a Qdoba, and, um, a Walgreens?—into “The Avenue,” a complex that will feature a fancy food hall, oodles of office space, and more. According to the Milwaukee Journal Sentinel, the food hall will be known as 3rd Street Market Hall. It will be located on the mall’s main first floor—a.k.a. where the singing animatronic bears used to be. The don’t-call-it-a-food-court food hall will boast more than 20 local vendors and will “showcase food preparation with open kitchens, while also providing a place to hang out while people-watching, working on a laptop, or playing bocce and other games.” 3rd Street Market Hall will be overseen by restaurant operator Omar Shaikh, and is expected to open in fall 2019. Vendors that have already signed on for the food hall include Stone Creek Coffee, Funky Fresh Spring Rolls, Char’d, Waterford Wine & Spirits, Milk Can, and Donut Monster. There will also be a separate beer hall, bocce ball, pingpong tables, and—as required in 2018—retro arcade video games. If someone could get a Kickstarter going to bring Rocky Rococo back to the mall, that would be great. 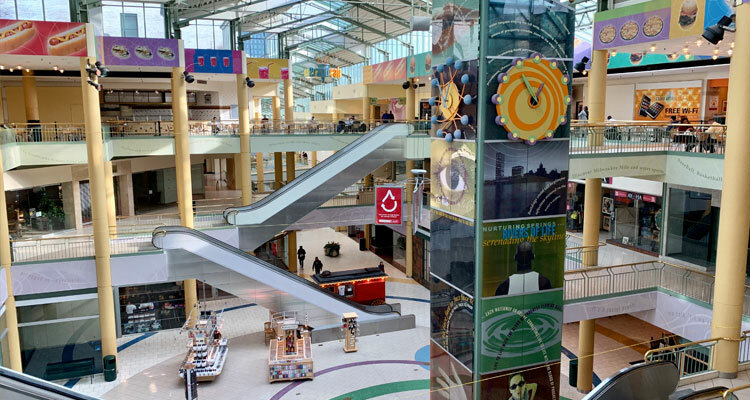 Elsewhere in the mall that used to house a Sam Goody and a Suncoast for goodness’ sake, engineering, planning, and design firm Graef USA will move into the third floor—a.k.a. where the just-barely-alive food court is today. That food court is expected to close soon, though it’s been dead to us for quite a while. Even with Graef and the food hall moving in, The Avenue will still have 85,000 square feet of additional potential office space. The high-end apartments that are being built in the mall’s historic Plankinton Arcade section, meanwhile, will be ready by January and March. A nearby second-floor space will be converted into a fitness center and conference room for apartment residents and office tenants. We assume that barber who ran for mayor won’t be among those tenants. For more on the story, check out the Journal Sentinel and the Milwaukee Business Journal. For our inevitable teary-eyed tribute to the once-glorious, forever-crummy downtown mall, stay tuned.